I feel a desperate need to write now. 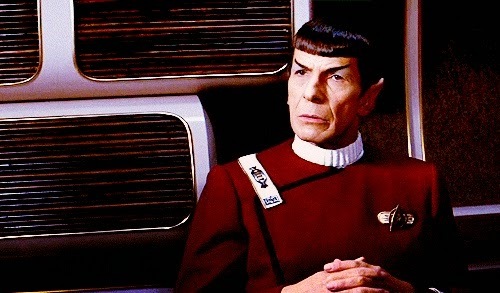 To say something about Leonard Nimoy's passing. It's going to take a little time, though. I'm writing and deleting words and sentences and paragraphs over and over. I can't do it right now. I plan to. I plan to soon. But right now I feel as though my heart will burst and I need to take some time away from all this. It is far, far better thing that I do, than I have ever done; it is a far, far better rest that I go to than I have ever known. I watched "Wrath of Khan" in honour of Mr. Nimoy on Saturday night. Live long, and prosper; he did. And he made our lives richer for his presence.